Bawdsey Radar Transmitter Block07821 162879work MuseumBawdsey Radar is where operational radar was developed that helped win the Battle of Britain. This historic 1937 Transmitter Block has been conserved and is now home to an interactive exhibition and displays telling the story of the men and women, who worked in top secret, to protect Britain. The first operational radar station in the world, built in 1937 now fully restored and home to a fascinating exhibition. 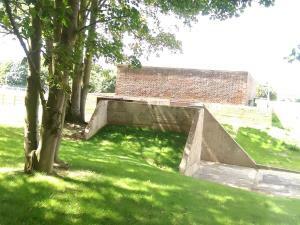 Bawdsey Radar is where operational radar was developed that helped win the Battle of Britain. This historic 1937 Transmitter Block has been conserved and is now home to an interactive exhibition and displays telling the story of the men and women, who worked in top secret, to protect Britain. There is a children's trail - come and be a Bawdsey Boffin! Try your hand at being a radar operator and bring a picnic to enjoying the grounds. Please check opening dates carefully!